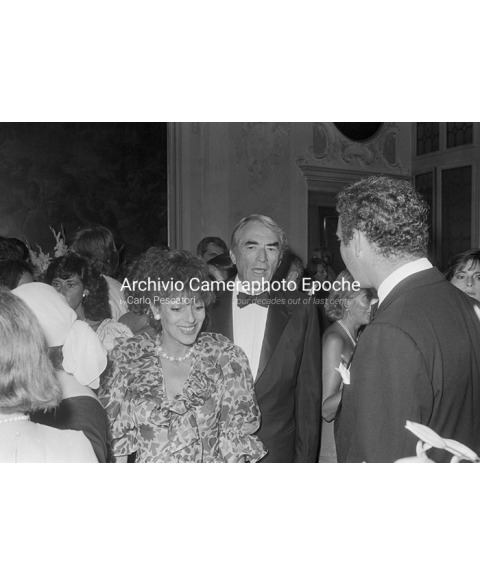 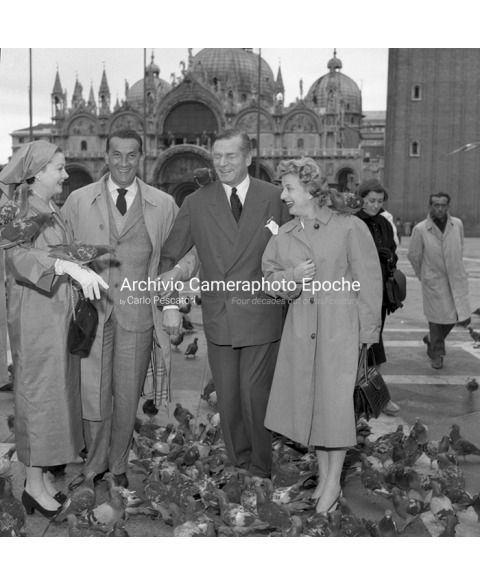 Mischa Auer chats with actress Binnie Barnes and her husband Mike Frankovich. 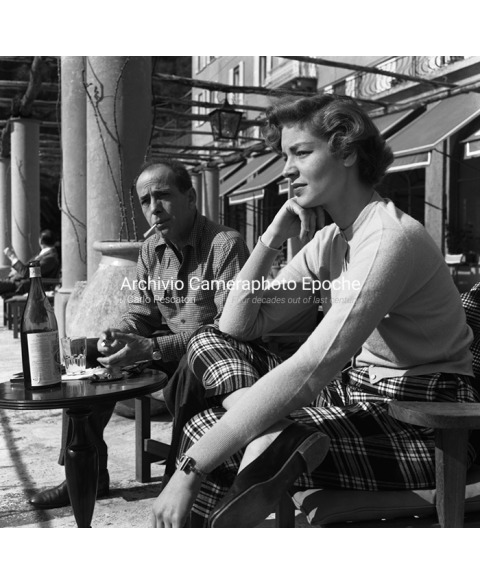 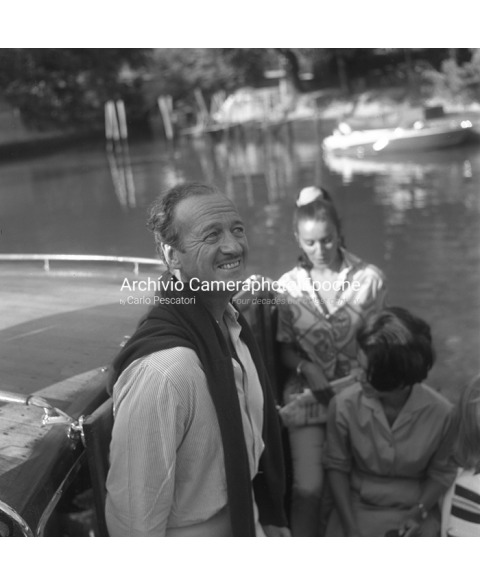 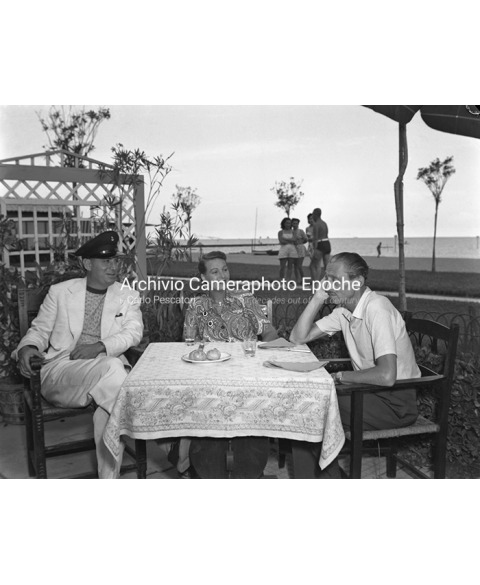 Lido, Venice, 1949 (Photo by Archivio Cameraphoto Epoche / © Carlo Pescatori). 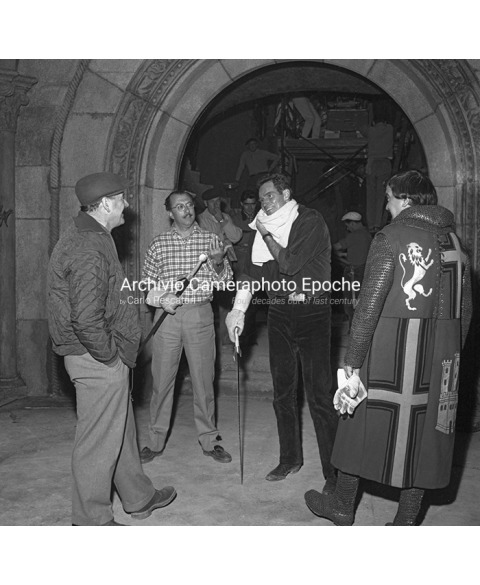 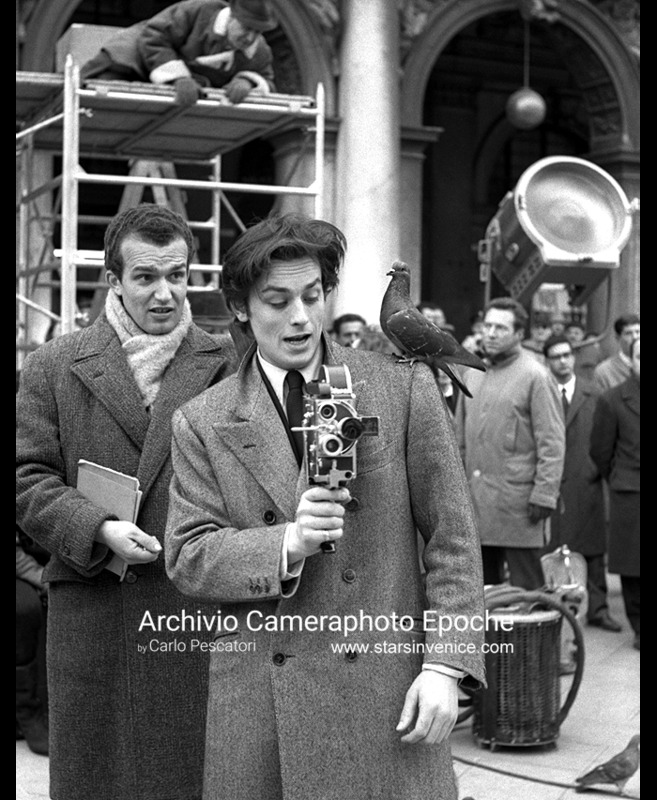 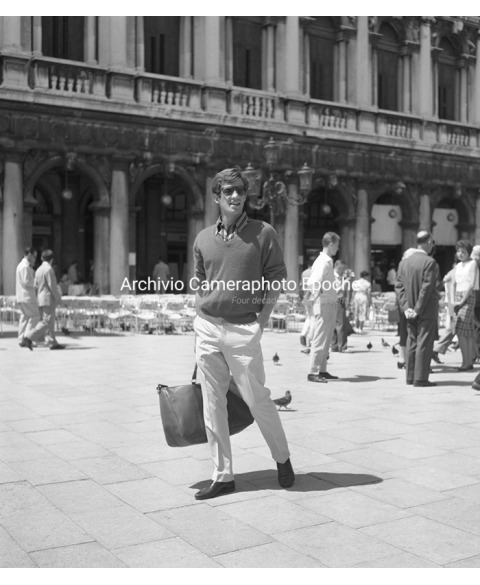 Alain Delon playing with a cinecamera during the unfinished Marco Polo movie shooting set in St. Mark Square in Venice, a pigeon on his shoulder. 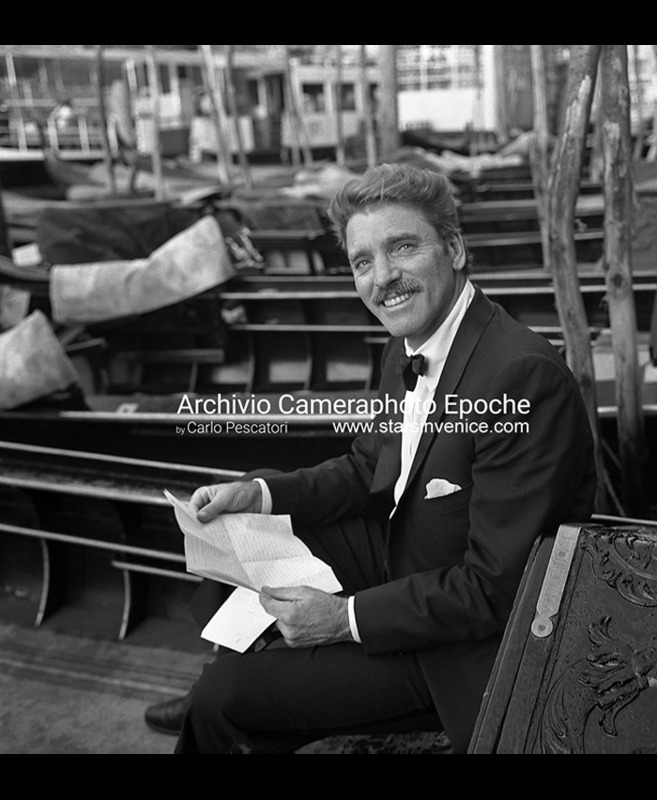 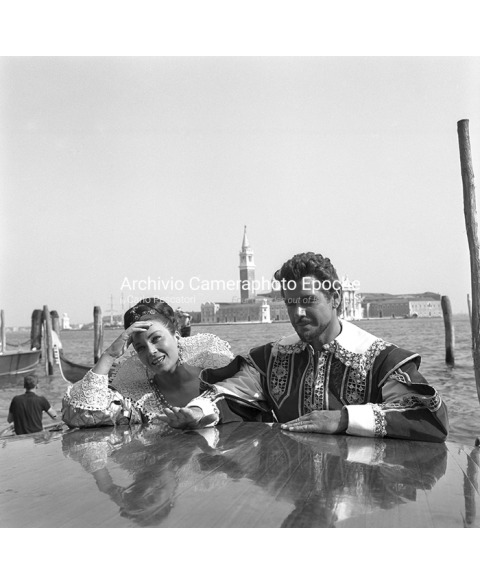 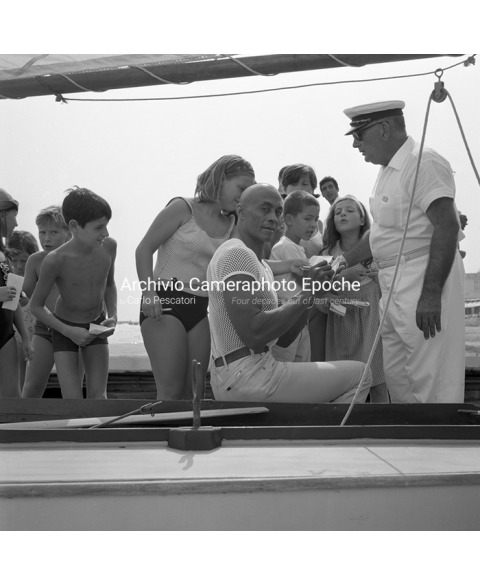 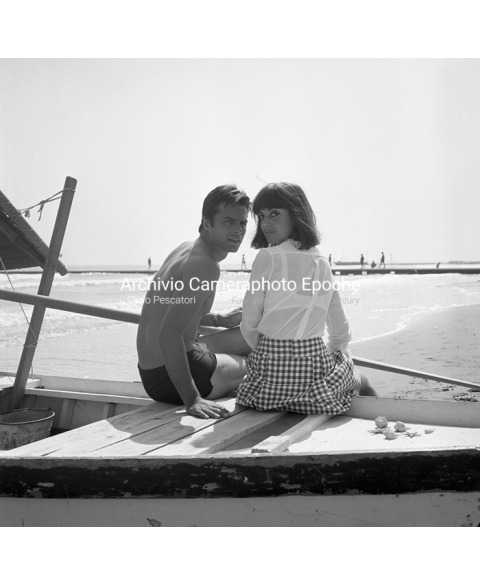 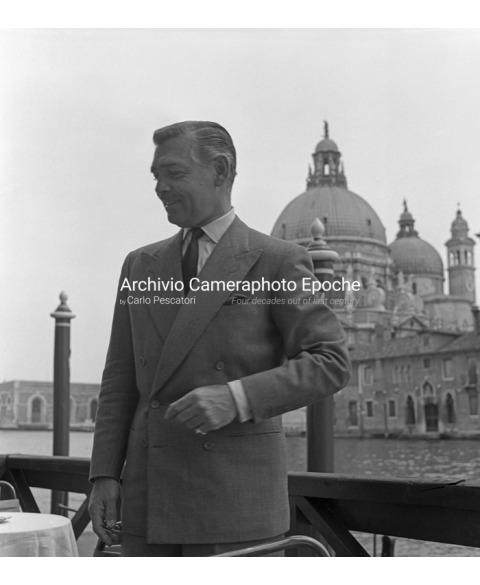 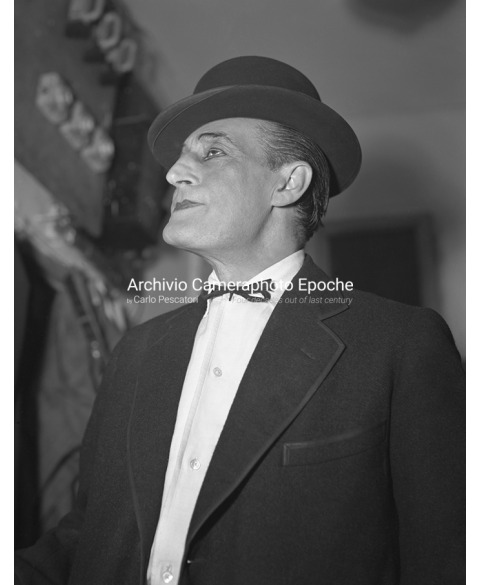 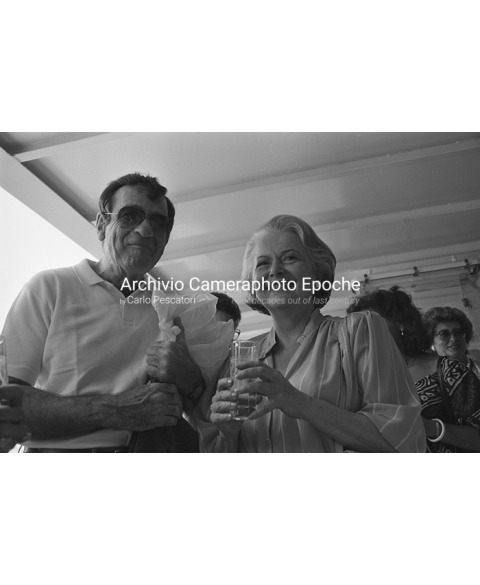 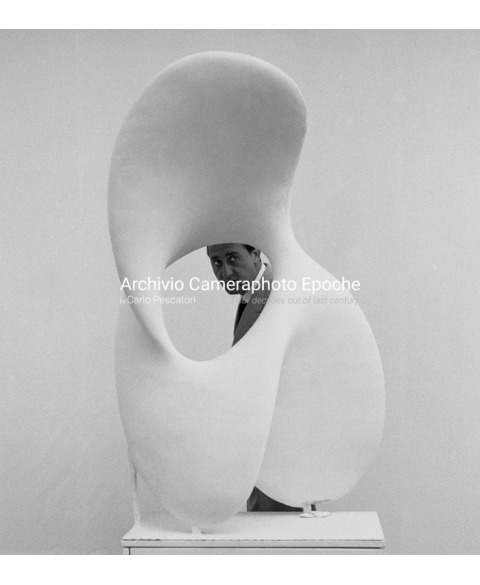 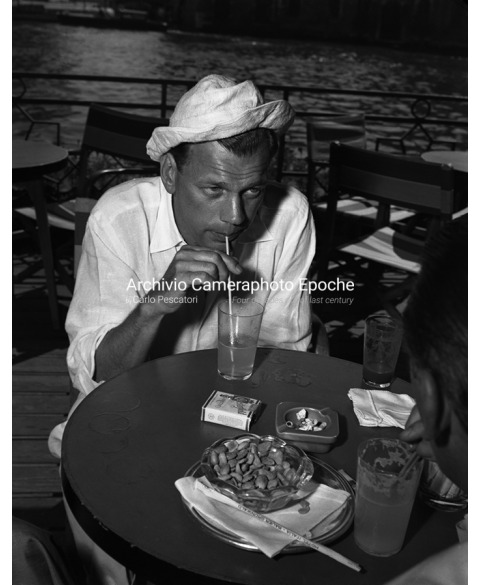 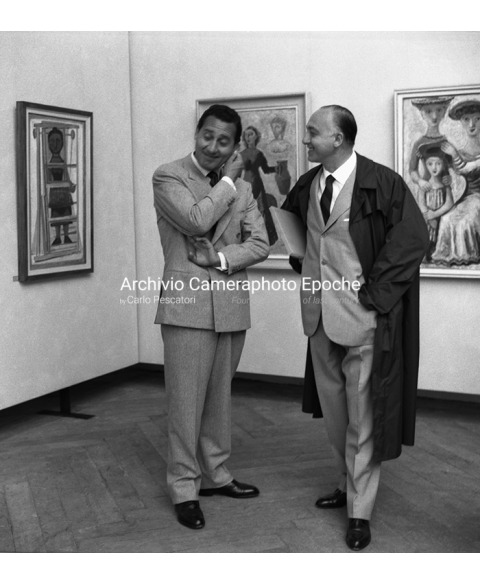 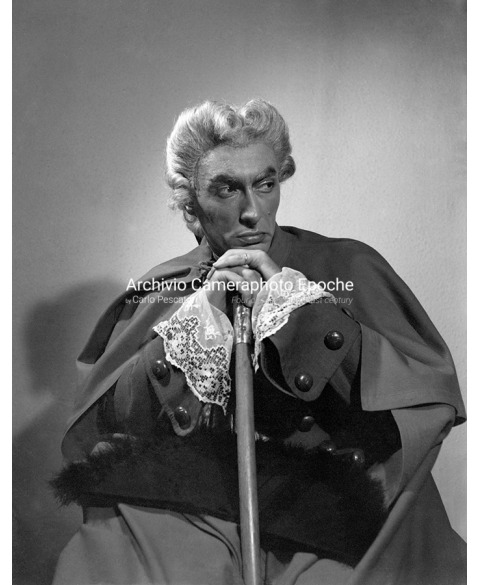 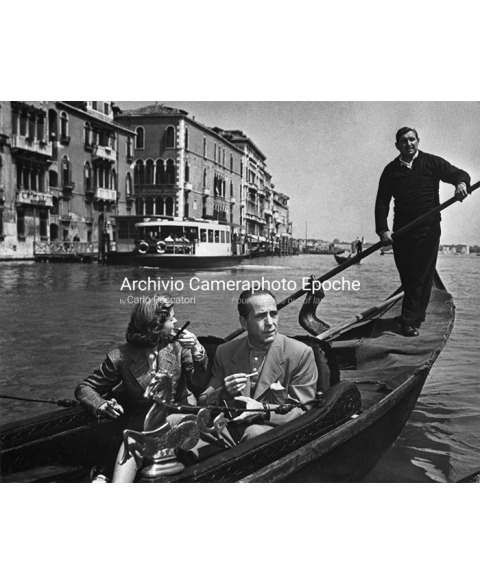 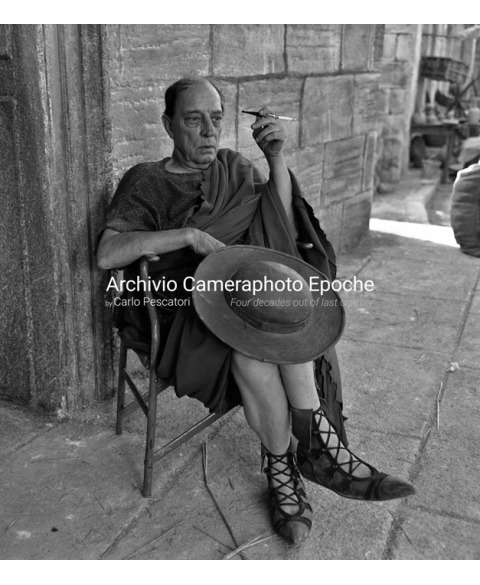 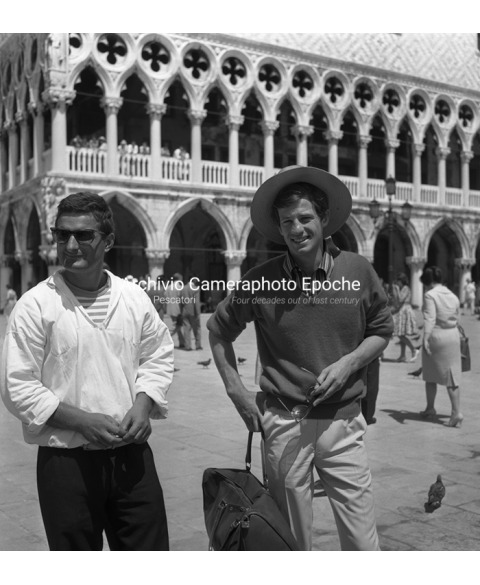 Venice 1962 (Photo by Archivio Cameraphoto Epoche / © Carlo Pescatori).